FANUC UK has expanded its range of industrial robots by introducing two models: the M-20iD/25 handling robot and the ARC Mate 120iD welding version. Controlled by the R-30iB Plus controller, both robots are characterised by higher axis speeds and a large working area relative to previous models. The M-20iD/25 is suited to handling tasks that include machine tending and parts manipulation. Featuring a slim, lightweight design, combined with a compact arm and wrist, maximum reach is provided even in crowded production environments. Capable of lifting payloads of up to 25 kg at a range of 1,831 mm, the M-20iD/25 offers an IP67 protection rating, rendering it suitable for applications under adverse environmental conditions, such as grinding or deburring. 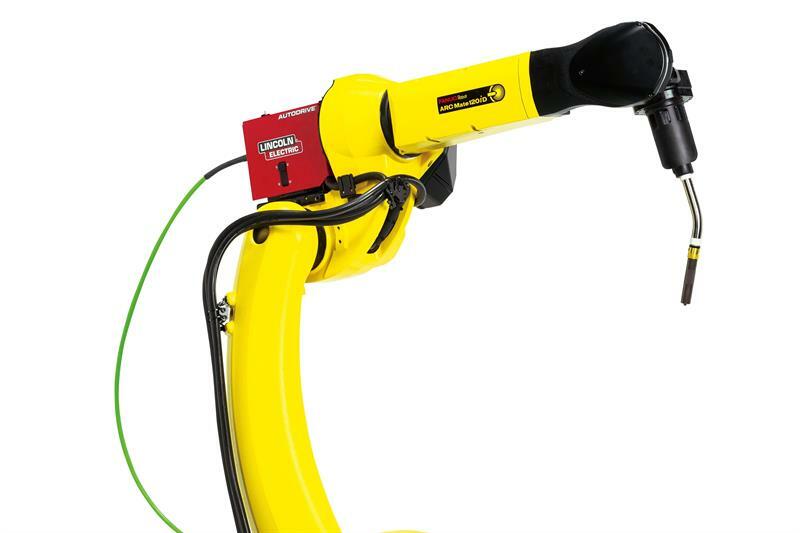 FANUC’s ARC Mate 120iD, in possession of a maximum payload and range identical to that of the M-20iD/25, is designed for welding applications. As with the M-20iD/25, the ARC Mate 120iD has a slim, articulated design, allowing it to weld in narrow machine tools and jigs. Possessing improved repeatability of up to ±0.02 mm, and significantly higher axis speeds as a result of newly developed drive trains, the M-20iD/25 and ARC Mate 120iD further improve the options available to FANUC UK customers.